Another in a series of random stuff seen on a beach walk on Okinawa. 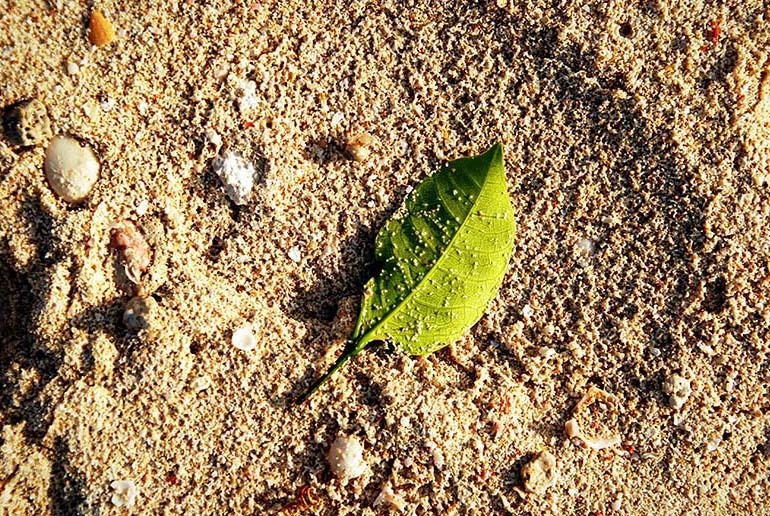 The softness of the bright green leaf lying in contrast to the texture of the coarse coral sand caught my eye. The beach exhibiting these finds is Araha Beach, a crescent-shaped public beach park overlooking the East China Sea located near American Village, a complex of shops, restaurants and entertainment in Chatan. The park includes with a broad sidewalk popular with walkers lining the curve of the beach and play area complete with pirate ship for children to climb on.